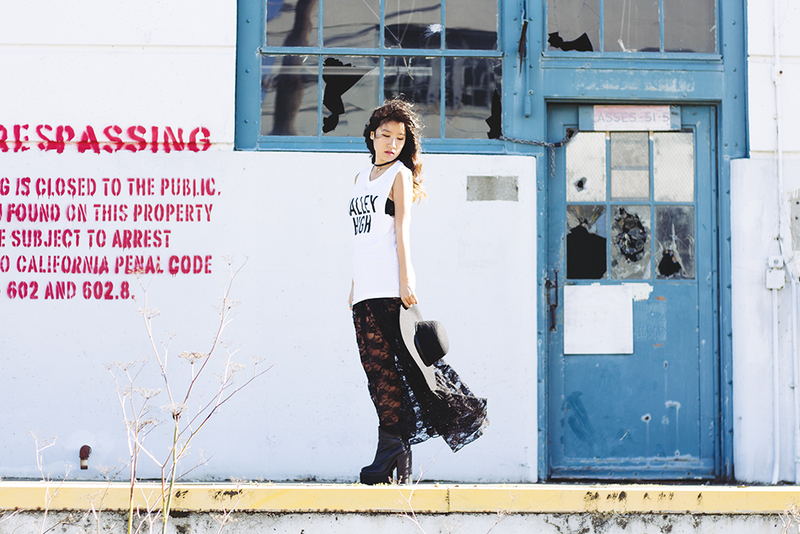 Having a goth outlaw moment in a muscle tee from Valley High and a vintage lace maxi skirt. I'm loving the dramatic effect of the lace maxi under the oversized top! I don't think you always have to follow the rule of counterbalancing the proportions and sometimes accentuating them is so much more fun. Plus it was an excuse for me to dig out this vintage skirt that's been collecting dust in my closet. Festival season is approaching fast and I've been in constant gypsy mode. That second photo is beautiful! I wish Glastonbury was as warm as Coachella! Gosh I love your outfit so much especially those skirt! Its looks like festival outfit! Great style!